David understands the importance of a 'Good Agent' when it comes to selling your families biggest asset and works hard to achieve the very best for you. His passion for people as well as this business, shines through above all else and he strives to make the experience as easy as possible for his clients. 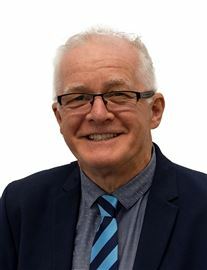 Having lived in Wainuiomata since he was a small child and working in the Real Estate Industry for almost 30 years, he has extensive knowledge of Wainuiomata and all it has to offer. During this time, he has watched the population grown from 1,500 to what it is today. David is only too happy to chat about what's happening with Wainuiomata and the Real Estate industry. Leith has been selling homes in Wainuiomata for over 25 years and still maintains the same enthusiasm to achieve success for his clients. In this time Leith has achieved regional and national sales success awards. 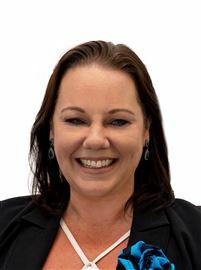 Leith is co-owner of Harcourts Wainuiomata with the additional role of Sales Manager. This provides further skills and benefits to his clients. Prior to entering the real estate industry he owned a manufacturing business for many years which was related to the housing industry. Leith is married to Wendy and has three children who are the first love of his life with real estate a close second. Leith has a very good knowledge of the Wainuiomata real estate market. He believes that to achieve a successful sale you need to manage the whole process carefully, especially in a difficult market. Your client has entrusted you with a major asset, you owe it to them. You have to be a problem solver and communicate regular feedback. That’s what being a professional is all about! Introducing Lisa Black. Lisa has lived in Wainui all of her life. She has a strong local knowledge as well as a large number of family, friends, extended family and contacts in the community. The thing Lisa loves the most about living and working in Wainui is that it means she can manage a profession, a household and everything that goes with being the mum of two young children in a community with a spirit, which in her opinion, is second to none! 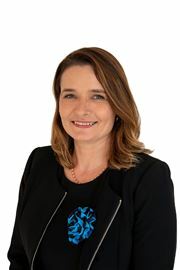 Lisa started with Harcourts in 1998 as Office Administrator and in 1999 she took over the Property Management division. In 2001 Lisa left Harcourts to have her two “munchkins” – Jessie and Kayla then returned in 2003 and began selling. After a truely rewarding selling career, Lisa took the leap to work to her greatest strengths and has now been managing the fabulous sales team in the Wainuiomata office since 2014. Lisa believes that being a full time, working mum has helped her to better her time management and multi tasking skills, in order to be able to tackle the toughest challenges out there, which she just thrives on. Lisa’s forte is taking the worry, stress and frustration out of buying and selling a home as she truly believes that, when handled correctly, it really should be an enjoyable and exciting experience for both sellers and buyers. Lisa believes that her straight up and honest approach is the way to get things done and it’s this willingness to “tell it how it really is” not "what she thinks you want to hear" that sets her apart from others and keeps her clients loyal and more than happy to refer her to their friends and family. Lisa says that dealing with her guarantees professionalism and excellent customer service with a smile. Lisa’s outstanding results and client references speak for themselves! Annette has lived in Wainuiomata since the age of four when her family immigrated from England, has two children, Cory who works for the family business and Georgia who is currently at college. 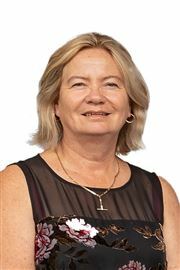 Annette brings a fresh and modern approach to real estate with over 25 years’ experience in customer service. She was employed by Briscoes for approximately 12 years and currently co-owns a family owned local business Firestone Wainui with her partner Paul. She appreciates that real estate is not all about bricks and mortar but building relationships and trust long after the sold sign has gone up. She will deliver that personal touch with class and professionalism and understands the importance of good planning and management in achieving the best possible result for her clients. Annette will market your home with intelligence and energy to ensure it reaches the maximum potential buyers and help you get the best result in the shortest possible time. Annette has the support of her branch, her manager and her colleagues this means her clients can be confident in knowing they are in good hands. 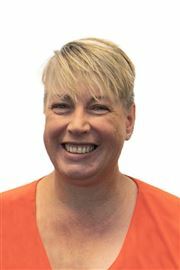 Debra has been a proud member of the Wainuiomata Community for the past 15 years, 9 of those working locally, giving her a solid knowledge of the area and its residents. Debra brings to Real estate over 30 years of Customer Service experience in a variety of roles. 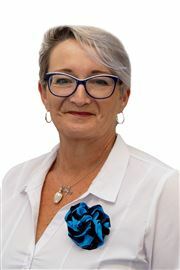 Enthusiasm, Energy and a Desire to provide the very best service to property buyers and sellers in Wainuiomata are just some of the skills that Debra brings to the Real Estate Industry. It's Better in Best Street! There's Miles of Space Here! Renovated & Ready to Enjoy! Is This Your Forever Home??? Add Value & Reap the Rewards! These sure are hard to find!! Walk in and Start Living! You Had Better Be Quick! I Need a Bit of Loving! First home waiting for you! All To Suit Your Lifestyle! Looking for Your Family Home? Just Move In And Live! The Good Life at it's Finest! Owners Say Sell Sell Sell! Starting Up or Slowing Down?? Family Home or Home & Income? Invest or Move in Yourself! Ticks all the boxes + More!